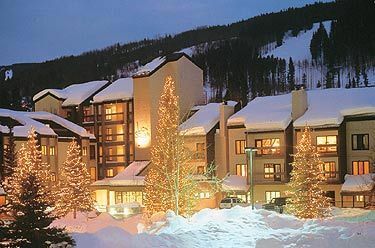 This winter oasis perfectly blends Vail’s alpine heritage and the timeless elegance of Europe’s grand ski resorts. Located in the heart of Vail Village, just steps from the chairlift and world-class shops. Appealing to spa-lovers, couples, and active travelers alike, the resort offers first-class amenities and is just steps from the chairlifts and Vail’s mountain village. This appealing mountain lodge provides the perfect escape after a long day of skiing. Whether you enjoy summer mountain thrills or you’d like to hit the slopes, consider a Vail vacation for yearround fun! Summer in the mountains is taking on a whole new feel with Vail's newest summer experience, Epic Discovery. Epic Discovery provides a unique, connected, mountain summer experience, immersing you in activities which provide big-time thrills, allowing you to challenge yourself physically, guiding you to explore and better understand your natural surroundings, and ultimately create lifelong memories. Zip, fly, tour, tube; the options are endless at Epic Discovery, the ultimate playground! When the temperature starts to drop, know that Vail is coveted as one of the largest ski destinations in the world with more than 5,200 acres of skiable terrain, seven legendary Back Bowls spanning seven miles, and the most groomed terrain on the planet, Vail is one of the world's most popular winter vacation destinations for passionate skiers and snowboarders. Vail locals have a saying, "you haven't skied until you've skied Vail." Please note: flight service for Vail vacations is into Denver, Colorado.